The ascendancy of the Islamic State from a trivial Al-Qaeda affiliate in Iraq into a global jihadist organization that has dominated both the Middle-Eastern and North-African Islamist landscapes has puzzled Intelligence Agencies, International Organizations and International Policy Makers alike, across the world. Nonetheless, understanding its rise within the historical perspective of Global Jihad and Al-Qaeda’s strategic projections to create a global caliphate would demystify most of the mysteries cloaking the Islamic State. This is due to the fact that the Islamic State arose from the ashes of one of the most extremist factions within Al-Qaeda - Jama`at al-Muslimin (JaM). JaM formed the core matrix of Salafist-jihadists - more radical than Al-Qaeda leaders - who would inspire the radicalization ethos and brutal tactics presently being used by the Islamic State to respectively radicalize impressionable Muslims in the West as well as maltreat and dehumanize their rivals (both combatants and non-combatants). The rise of the Islamic State in 2014 was unprecedented in both global and regional realms. This is principally due to its rapid ascendancy to military dominance over the Syria-Iraq Theater of War, its proto-state structure and its ability to rapidly gain affiliates – mostly at the expense of its rival transnational Islamist-Jihadist organization, Al-Qaeda. The western world was instantaneously shocked and perplexed by the military successes of ISIL (Islamic State of Iraq and the Levant, also abbreviated as ISIS if Levant is substituted for its Arabic equivalent, Al-Sham) starting from February 2014 and culminating in its capture of Mosul in June 2014 whence it announced itself as the most dominant fighting force in both Iraq and Syria. 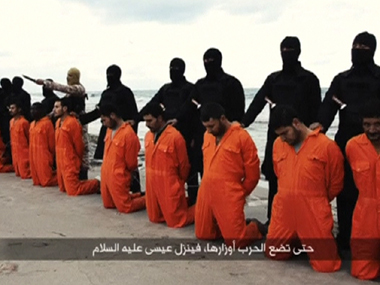 Likewise, ISIL has also horrified the world with its widely self-publicized brutality and savagery. Strategic Schema of Al-Qaeda: Nascence, Islamic Revolution, the “Bear Trap”, and Post-Cold War Global Strategic Repositioning. This is the First Installment of the Serial Strategic Schema of Al-Qaeda. The strategic schema of Al-Qaeda - and by extension, its insubordinate and rival offshoot, the Islamic State of Iraq and Syria/Levant (ISIS/ISIL) – is a culmination of the processes of evolution of Modern Islamism and Offensive Militant Jihad; coupled to pragmatic political maneuverings, rational social actions, combat experiences, and, national and sub-national events (both within and outside its controls); which have shaped the development of its pertinacious struggle for the actualization of its definitive end goal - the establishment of a Supranational Caliphate that would subordinate all Muslims under a Salafist-interpreted Sharia constitution. Al-Qaeda arose from a series of events which impregnated Afghanistan and the Middle East with the zygote of Salafi-jihadism, whose long gestation period ended with the Disintegration of the Soviet Union; while its infancy was characterized by a series of Terror Attacks across Asia, Americas, Europe and Africa including the most notable Twin Bombings of the US Embassies in Nairobi and Dar-el-Salaam in 1998. It precocious puberty was hastened when Al-Qaeda in Iraq (which had malformed into the Islamic State in Iraq) overran expansive swathes of territories in both Syria and Iraq; and in that way, established the Islamic State in Iraq and Syria in mid-2014. Now Al-Qaeda is strategically mature, ready to destabilize the global order and foment unmanageable chaos. Its maturity is qualified by the fact that it has dragged the US into chronic conflicts in multiple theaters of war, and is some instances (Afghanistan and Iraq), defeated the US in War. On 26th June 2015, Al-Shabaab launched an offensive on AMISOM positions in Leego, Lower Shabelle, with the prime intents of defeating AMISOM troops and capturing the main Forward Operating Base in the area which was manned by over a hundred Burundian soldiers. The incontestable victory of the Jihadists stunned AMISOM and the International Community, and the after-effects rippled across Lower Shabelle with AMISOM abandoning towns in fear of a repeat of what happened in Leego. The least discussed aspect concerning this event is the fact that Al-Shabaab used weapons it had captured from Ethiopian soldiers to storm the base. 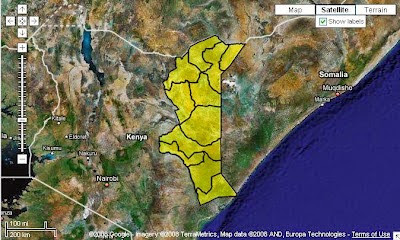 This fact reveals an unsettling reality that Al-Shabaab is far from being defeated, and that its resilience coupled with pragmatic strategies have enabled it to regain initiative across Southern Somalia. This post will analyze the video released by Al-Shabaab - which shows the decimation of an AMISOM base in Leego - with the aim of deriving lessons from the attack, as well as gain a glimpse into the tactical strategies of the Al-Shabaab unit tasked with raiding and destroying AMISOM Military Bases; the Sheikh Abu Zubeyr Battalion. The text of this post will be complemented with photos and video recordings of the attack for the purposes of clarity and confirmation of stated facts. DISCLAIMER: Strategic Files (SF) acknowledges the inherent Illegitimacy of Terrorism and in so doing, also abhors Illegitimate Violence; and the use of photos and video recordings of the attack to complement the text of this post serves ONLY to CLARIFY and to provide PROOFS of EVIDENCE where necessary; AND DOES NOT IN ANY WAY ENDORSE VIOLENCE. 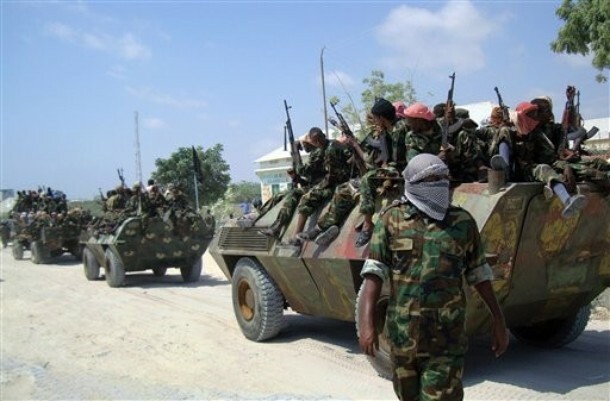 Al-Shabaab Jihadists soften up AMISOM Defensive Positions using Heavy Gunfire Prior to Overrunning the Base.